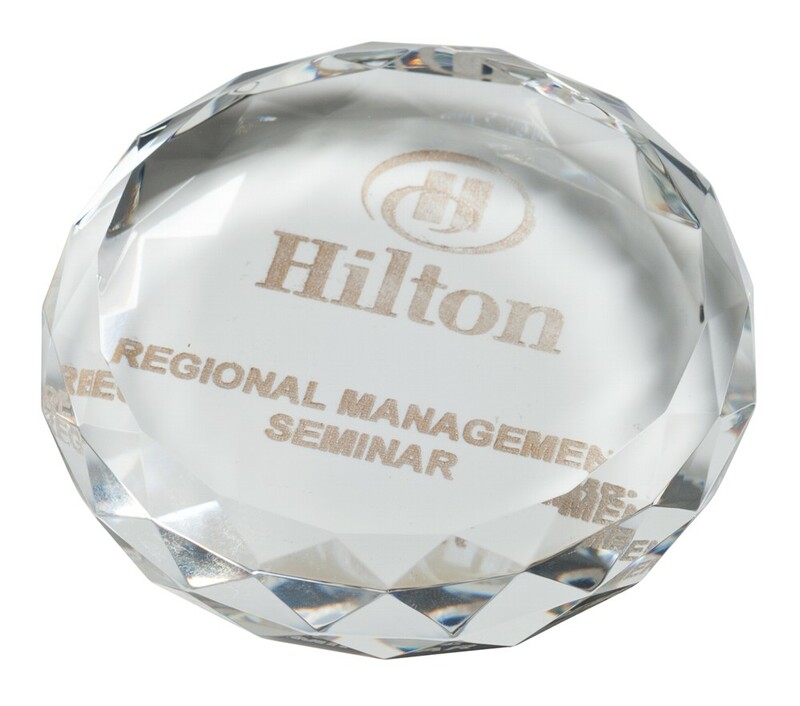 The Oxford Optical Crystal Round Paperweight. Available in 3 sizes,60mm, 70mm and 85mm in diameter. All engraving included in the price.